Better With A Book: Gift Ideas for the Graduate! Gift Ideas for the Graduate! It's Four 4 Friday! Here are some books just perfect for adding to a graduation gift or placing money into! They really pertain to any graduation...preschool, grade school, high school or college! Truthfully, these are great for any stage in life! These are quick reads to give you some confidence and motivation through the tough times in life. Congrats to all those graduates out there!! Cloudette, by Tom Lichtenheld, is a story about a little cloud, small enough to fit through small places and find great spots to watch fireworks. However, does she have what it takes to make big things happen? 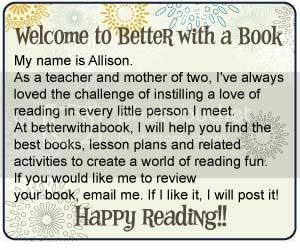 I Knew You Could!, is a book for all stops in life! Few things turn out perfectly right from the start, but persistence and hard work definitely pay off! 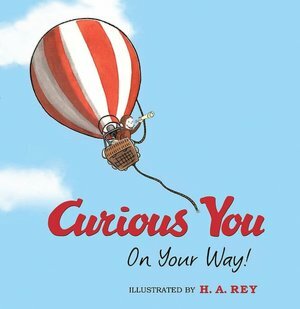 Curious You: On Your Way!, by H.A. Rey, reinforces Georges outlook on life. They'll always be new things to see and do and new dreams to attain. Uncertainty and fear will pop up along the way, but your family and friends will always be there to help you! Only One You, by Linda Kranz is a favorite in our house! This book consists of the simple lessons in life about how staying true to you leads to success and happiness in all aspects of life! What an adorable idea - graduation gifts. My daughter graduates kindergarten this month. I am going to look into these.